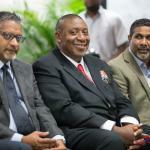 Click HERE to read the view of the football president; and HERE to read the alternate position. 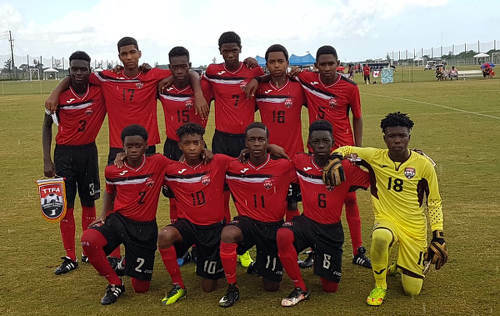 Photo: The T&T National U-15 Team pose at the 2017 CONCACAF Championship. Those players are expected to make up the spine of the current U-17 Team. Maurice Eligon totally agree but what do you think is an alternative? When is the next women’s tournament? 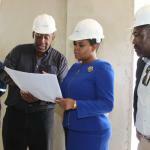 Chabeth Haynes I would also like to know the plan for the women going forward. Not sure we even have a staff currently. More of us women national team members are starting to play professional, we are taking the necessary steps to stay ready I want to hear ANYTHING from the TTFA about helping us. Chabeth Haynes TTFA is an international disgrace in regard to commitment to Women’s football. Trey you gonna ask if we have a men’s Olympic team in training next? Lasana Liburd 😂😂 doh set meh up. I’m only relating info found on Jamaica FA’s website. Maylee Johnson I SEE THAT IS THE CASE! We stand up for ourselves and get blackballed? There would be no need for articles if the TTFA did right by us. I don’t care anymore I love wearing the RED WHITE AND BLACK I WANT A CHANCE TO PLAY FOR MY COUNTRY! In fairness…the u15 team together since u13. Maybe he silently decide that it too late for all the other teams to reach global standard but couldn’t say it “officially” so as not to insult anybody, and just doing it operationally. That’s what I felt when he hired Santfliet…that he say ” this team not worth spending money on, lemme focus on the youths”. If so, i could undeestand the reasoning, although it could have been done more diplomatically. Obviously he doesnt have that skill set. Don’t know why he not doing the same for the women though. That is wrong on several levels. 1. Any such decision should be a decision of the BOARD not the Big Boss. 2. From the technical and physiological standpoints it would be a horrible decision, which would expose players as young as thirteen to physical injury against seventeen year olds, and undoubtedly result in huge defeats – adding to the current disgrace that is TT football in the international arena. 3. 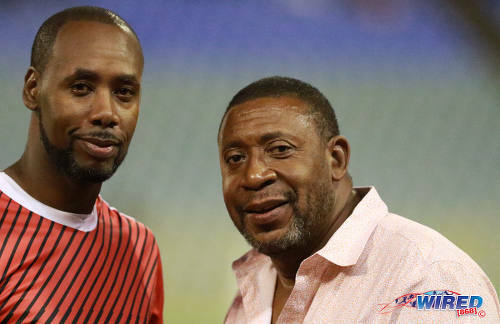 It would cement the Big Boss’ haphazard approach to TTFA and national teams’ business – never mind all his “manifesto” ole talk. But Kion we have been down this road before…I recall back in 1990/1991 an U-23 team being totally dismantled and replaced by the Under-20 team that had qualified for Portugal retaining just TWO U-23 players in Terry St Louis & Anthony Rougier…they were hammered… because it was men vs boys…And there can be NO valid reason for hiring Sainfeit NONE!!!!! 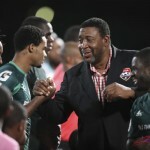 That that fraud could put former “Former National Coach of Trinidad and Tobago” alongside the likes of Gally Cummings and Leo Beenhakker STILL pisses me off to this day. At the end of day I don’t have all the answers buddy but I CAN see the road we are currently traveling on ain’t taking us anywhere good anytime soon. Brian, the difference between an 18 year old and a 22 year old is marginal other than experience. The difference between a 13 year old and a 16 or 17 year old is far, far more pronounced. Think about a Form Two student and a Form Six student and you will get the picture. Lasana Liburd I hear yuh but I still disagree on principle on just scrapping a team and replacing them wholesale in this manner as was suggested in the piece. Kion S Williams still believe the U-17 deserves a chance. Even if it’s for their development. Kion S Williams the problem with our teams is that they’ve never been developed at youth level which is why we have so much technical flaws at an older age group. So what exactly makes you think he’d go that route…. also to understand this beast’s intention is to understand his way of thinking….he does nothing unless it benefits him…..use that as a reference and ignore the logical context in which you’re trying to see it. Malik a 18 or 19 year old playing with adults is pretty common. A 13 year old playing with 16 and 17 year olds is far more so. Brian I certainly disagree with doing that as well. You’re putting the sword to a whole generation of players between the ages of 15 and 17. And remember there is already a blind spot with the boys unlucky enough to be 18 right now who were not big enough for U-20s but too old for U-17s. Malik nah. If I worded that clumsily I meant the commonality. Still guys, those that fall through the crack of not making the competition cut should be kept in a pool…training and keeping sharp & active. All of this is academic discussion. The main issue here is the failure, yet again, of the abysmal DJW administration to plan for and prepare a national team for international competition. I am at the point of believing this ongoing failure is intentional. Talk about any other issue arising therefrom, keeping the players together, etc, is pie in the sky. 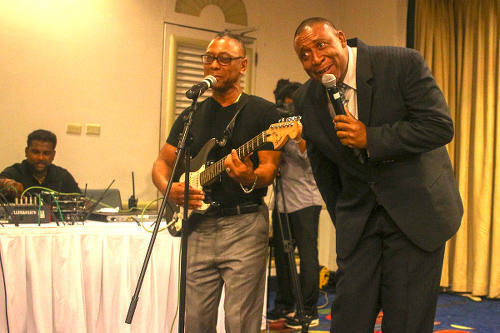 The Big Boss ain’t doing none ah dat. Players and parents, staff, who sacrificed to participate in this U17 team up to March 2018 have themselves been sacrificed by the incompetents who hold high TTFA office. End of story. Malik Johnson Correct. And I will say it here, in plain terms, for his people to tell him: Look Loy not supporting that foolishness about sending the U15 team. He could talk all he wants about development, that is more dereliction of duty, and the abandonment of an entire age band of players, the ripple effect of which will be that our next U20 team will have no experience of international competition. That is more national disgrace and I will oppose it at Board level. God forbid yes. Decisions and plans need to be pro-active…about football! There’s no coach? Or it’s a weak talent pool? Or the thinking is to focus on developing the U15s for the 2024 Olympics and the 2026 WC? Chabeth Haynes development? By this president? Lol…the man doesn’t even know the meaning of the term. 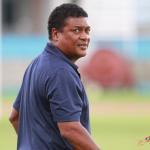 Tournament next Saturday…pick ah fete match team Thursday and see what happens…..
Malik Johnson you got that right!!!! Jo Ann we are such an afterthought at this point it’s sad. SB Jacqueline So sad. What does the Women’s football representative on the Board do? Jo Ann The WOLF representative on the Board, as well as the other female member (representing TTPL) have made impassioned pleas for a proper focus on women’s football. 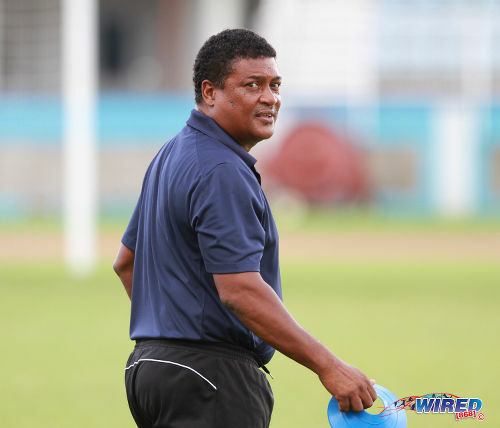 The TTFA does not have a technical committee – again, despite please for same. Yes, the Board has been delinquent but because of the numbers game that is Democracy the Big Boss has been able to hold off such demands. The composition and nature of the Board has changed over the last several months and we just have to continue fighting for the correct approach to our football. I am glad the Women on the Board are trying to advocate for Womens Football. 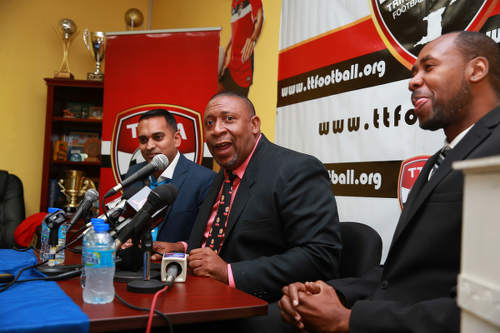 Can the TTFA accept FIFA funds if they don’t have a technical committee? The Big Boss is doing what he wants..
FIFA, Concacaf, the Government and people who are supporting him are allowing the flouting of the rules. Shame, shame, shame on them. Brian Harry Hope you get answers…. Brian the supposed to meet once every two months at least. There last meeting was in November so President was in breach of constitution there. Again. Personally not expecting much to change if recent history is a guide because it’s basically the same players…and as the definition of madness goes it’s doing the same thing over and over and expecting a different result.